I took this shot today, from one of the new walkways near The Plaza restaurant. 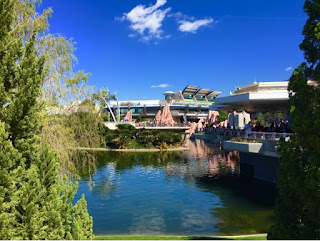 You can see the entrance to Tomorrowland in the distance, as well as the Tomorrowland Terrace on the right side. It was another picture perfect day in the Magic Kingdom.